On Friday night, I made my way to Fresh Market and picked up two pints. One, of the infamous Black Raspberry Chocolate Chip and the other, a new one for me, Peanut Butter Chocolate Chip. I arrived at home and before I even put the pints back in the freezer, I started right in. I always like to try the flavors prior to sharing them with friends. It’s not like I am worried I won’t like (it is Graeter’s after all) but rather that I just want to have first say on them. This Graeter’s Creation combines Peanut Butter Ice Cream with the World Famous Graeter’s Chocolate Chips. 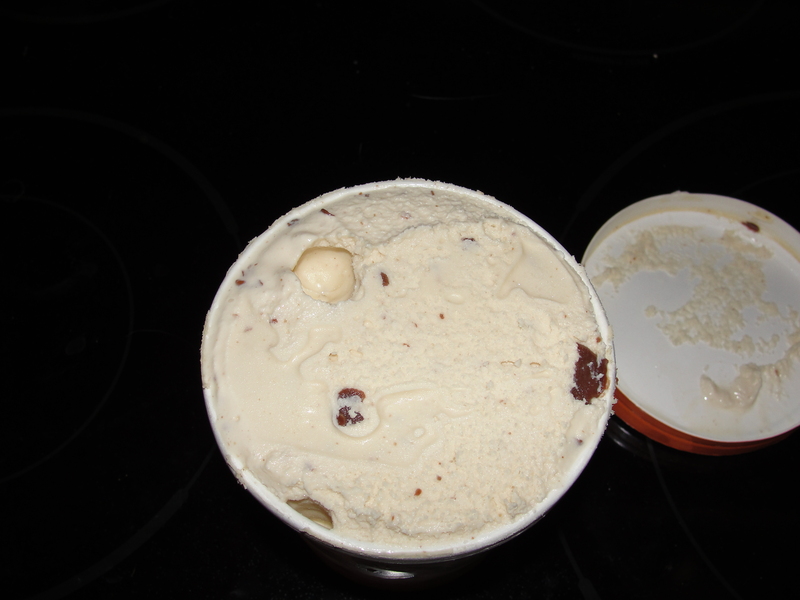 I opened up the pint and could smell the hint flavor of peanut butter. 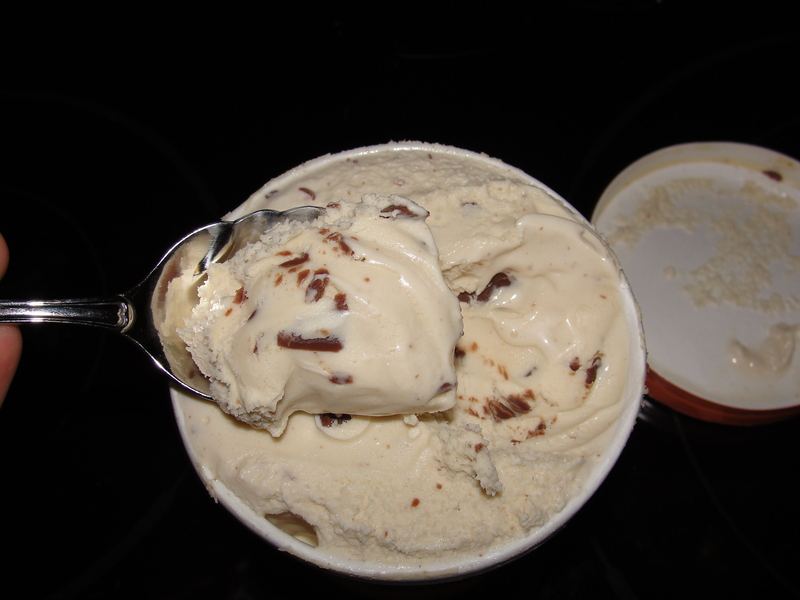 The ice cream is a light tan in color and the chocolate chips are abundant. I hurriedly scooped out some of this creation and placed it in a bowl. As I raised the ice cream covered spoon to my mouth, my adrenaline was rushing & my heart was pumping. When the spoon connected with my mouth, I was transported to the Bliss known as Graeter’s Ice Cream. As my mouth was tripping, my brain was loving it all. As always, the consistency of the ice cream was thick and creamy. The ice cream itself is just so beyond smooth in texture. As it slowly melts in my mouth, the thickness is not lost. By far, this is my favorite texture of any ice cream ever. There was no doubt in my mind that I was eating Peanut Butter Ice Cream. The flavor of the peanut butter was very apparent yet, not to the point of being obnoxious. I could taste all of the flavor profiles normally associated with creamy peanut butter. 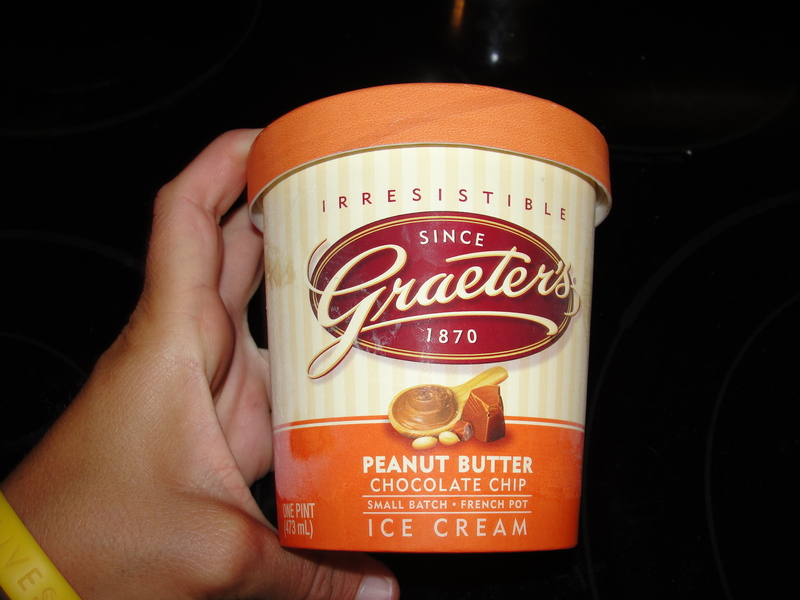 I am usually not a huge peanut butter ice cream fan (crazy, since I love anything Peanut Butter) but, Graeter’s made me a believer. This flavor was just so spot on everything that Peanut Butter Ice Cream should be. While the peanut butter ice cream on its own was great, adding in the infamous Graeter’s chocolate chips brings it up to a new level. As I have mentioned before, this is, by far, the best chocolate chips you will find in any ice cream. The chocolate within the Peanut Butter Chocolate Chip ice cream was no exception. Extremely rich & creamy, budding with flavors of cocoa & cocoa butter, these chocolate chips were killer. I love how the chocolate slowly melts in my mouth as I am eating this ice cream. This slow melting process combined with the melting of the ice cream, provides a peanut butter-chocolate bath in my mouth. Every single bite of this ice cream was simply magical. I fell in love with the peanut butter-chocolate bath my mouth received with every bite. There is no reason why you should eat anything other than Graeter’s Ice Cream. I challenge other ice cream distributors to try to produce the product that Greater’s does. Unless they decide to do things the old-fashioned way, they simply will never be able to match the high-quality, high-flavor product that is Graeter’s. Buckeye Blitz still reigns supreme in my book of Graeter’s flavors but, I am glad to say that Peanut Butter Chocolate Chip has earned itself the number 2 slot. But really, at the end of the day, Graeter’s will never be Number 2 – it will always Reign Supreme. What is Buckeye Blitz? The stores up here don’t stock that one We lived in Cinci for 8 years but had to move back to MI. Buckeye Blitz is amazing. Chocolate Ice Cream…Peanut Butter Cookie Dough Pieces and Chocolate Chipa. My oh my. Amazing.